Happy Halloween friends! I’ve got a busy little household today with lots of excitement for trick or treating tonight. On busy nights like this I like to whip up something quick and easy before we hit the road. This delicious homemade burger has absolutely no fillers and helps save a penny or two! I can typically find lean ground beef on sale at the grocery store every few weeks. Whenever it goes on sale, I stock up because this household has a love for ground beef like no other. Since I have had this burger, I can’t go back. 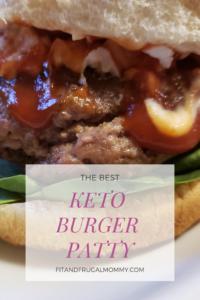 With no fillers and no additives, these keto burger patties taste so authentic and real that I am always excited for burger night, with absolutely no guilt. Placing this patty on a lettuce bun makes the perfect keto, low carb meal that is filling and satisfying! Of course, I dress mine with goat cheese. 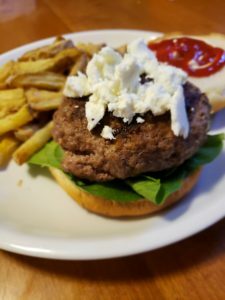 I’ve discussed before how goat cheese has become a staple in my house. It provides an awesome cheesy flavor for significantly less calories. I highly recommend trying it if you haven’t already. For these homemade burger patties, we cook them on our Cuisinart grill pan. My husband absolutely loves this pan for steaks and burgers. 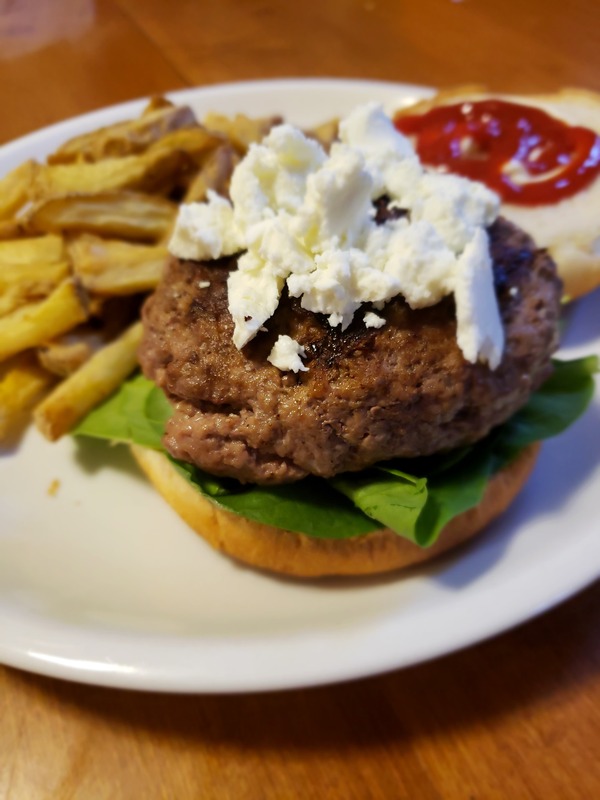 We typically pair our homemade burger night with homemade fries. This is as simple as chopping up some potatoes and throwing them into our T-Fal Actifry with a little extra virgin olive oil. This combo gives us a healthy burger night that I really look forward too! 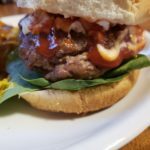 What’s your go to burger toppings? Let me know in the comments below! 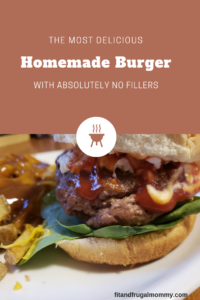 A delicious homemade, keto burger patty that has absolutely no fillers. Mix ground beef with seasonings in a bowl. Split mixture into 4 equal parts and shape into patties using your hands. Using a grill pan, cook on medium-high heat for 12-15 minutes flipping occasionally, or until fully cooked.